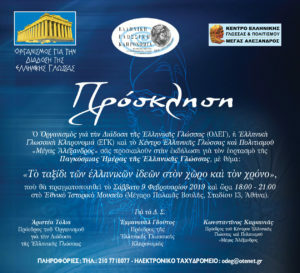 For a second year in a row we co-organize -together with the Hellenic Language Heritage and the Organization for the Spreading of the Greek language- the events of celebrating the Greek language World Day, in Athens. 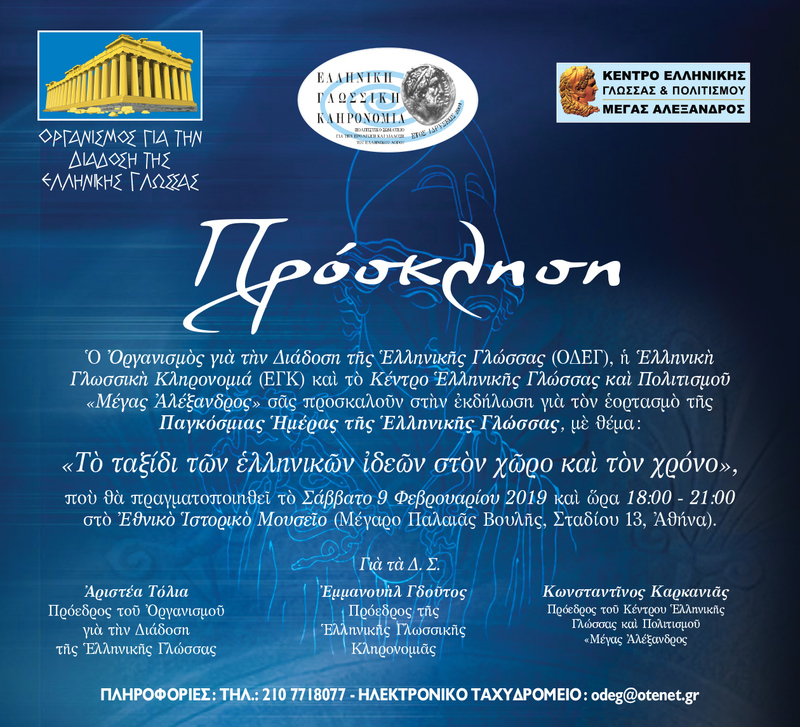 The events will take place in the Historical Museum of Athens (Old Parliament building) on February 09 from 18:00 until 21:00. Apart from the organizers, among whom will be our president K. Karkanias, many representatives of embassies and Greek political parties will address a greeting. 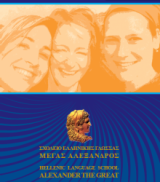 The main part of this year’s events will be covered by presentations of students from six junior high schools of Athens. Unfortunately the available space and time do not permit us to have more participant schools.